Islamic Emirate statement: Who were actually killed in the recent Kabul attack? Recently, Mujahidin of the Islamic Emirate successfully managed to demolish the center of those arrogant devils who were not only defiant to their Almighty Creator, but had also committed unforgettable felonies against their own innocent and oppressed countrymen. By carrying out this meticulous and deadly attack in the heart of the enemy, Mujahidin challenged their ‘five year security plan’. It was an unprecedented attack, at the distance of only a few hundred meters from the Presidential Palace, resulting in heavy casualties and losses to the mercenary forces and humiliation for the heterogeneous stooge setup of Kabul. This well-planned complex attack disclosed the inefficiency and weakness of puppet Kabul regime which was trying to boost the morale of its mercenary forces by deceiving them regarding its own strength and discipline. Since they were deeply embarrassed by this incident, they tried to cover their humiliation by exaggerating the civilian losses caused. Let us investigate the reality by analyzing the following statements of various media outlets and then decide who was actually targeted and killed in this attack!! ‘Markazi Press’ quoting a member of so the called national assembly said that fifty eight workers of the national security directorate were killed in this incident, further addeding that the actual losses were several times the number admitted by the stooge officials. ‘Ufuq’ news agency also reported that 58 security personnel were killed and cited Markazi Press. This parliamentarian had visited several hospitals after the incident and said that he saw thirty five dead bodies of Directorate 10 in the national security hospital and twenty more dead bodies in the ‘400 Bed Hospital’. This news agency added that the attackers entered the premises of the directorate as sixty employees of this organ were taking a class. Two persons, who were injured in the incident, said that fifty eight workers were inside the classroom, most of whom were either shot in their heads or chests. These casualties were inflicted in only one classroom. About the additional losses and casualties of fighting, ‘Tolo’ news agency said that this directorate which providing security to the political elite was complete secured on all sides. The compound of ‘Haji Naeem Kochi’ was situated on its western side where numerous vehicles of this directorate were parked. The vehicle full of explosives and designated for the operation parked adjacent to the wall of this directorate before blowing up moments later. Fifteen workers busily training near the wall were killed on the spot. Two guards watching from the guard towers and five workers guarding the premises of this directorate were also killed. ‘Tolo’ adds that following the blast, multiple attackers entered the premises of the directorate and killed twenty officials on the first floor. Ten other workers, who were hiding behind a room, were also killed by the attackers. Tens of official vehicles parked in the adjacent compound of ‘Haji Naeem Kochi’ were destroyed and some of their drivers killed. According to ‘Tolo’ the blast did not take place near the main road or close to the crowds which would have cause collateral damage to civilians. Rather the explosives laden vehicle was detonated in the parking lot between the official vehicles and the adjacent wall of this directorate thus hitting military targets on both sides. Another local newspaper ‘Mandegar Daily’ reported that four hundred workers of directorate were killed and injured in this incident. On the other hand, the so called interior ministry of the stooge admin, while announcing the latest casualty toll said that 411 persons were killed and wounded in this blast. If we were to accept the officially released figures, it can easily deduced that only 11 civilians were injured because according to Mandegar Daily, 400 casualties belonged to the very directorate which was targeted. Although injuries to civilians is very painful and regrettable but unfortunately such light injuries are inevitable in the huge blast which would have shattered windows of nearby buildings. According to the above reports the large majority of killed and injured were in fact workers of the stooge regime and therefore – to save face – the targeted security directorate, biased media channels and some supposed human right organizations exaggerated the civilian toll and released pictures which were either not from Afghanistan or were of past incidents. The reality is that the vigilant Afghan masses cannot be taken in any more by the deceitful tactics of the enemy. They have fully realized that the propaganda machine (media) is controlled by enemy which spreads false information suiting their interests. The Afghan masses can discern and identify their real enemies and murderers. 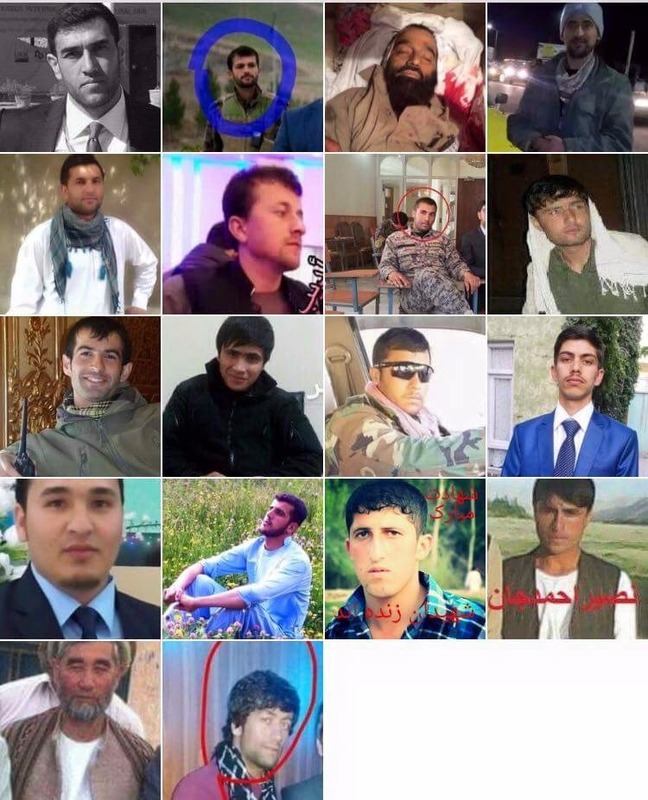 They are the ones who brutally killed nearly one hundred innocent civilians in ‘Kunduz’ province over the past few days, who martyred nine ordinary countrymen a week ago in Kharwar district of Logar and who indiscriminately slaughtered around twenty teachers, tribal chieftains and innocent youth in Gomal district of Paktika. None of these bitter facts and figures can be concealed by the false deceiving propaganda of the foreign invaders nor by their internal stooge regime officials who seek to attribute their felonies to the Mujahidin of Islamic Emirate who are deeply rooted amongst the pious freedom loving people of this land, and who are determined to expel the foreign invaders from their beloved homeland by defeating their internal mercenary forces and the stooge regime!!! 2 Responses to Islamic Emirate statement: Who were actually killed in the recent Kabul attack?